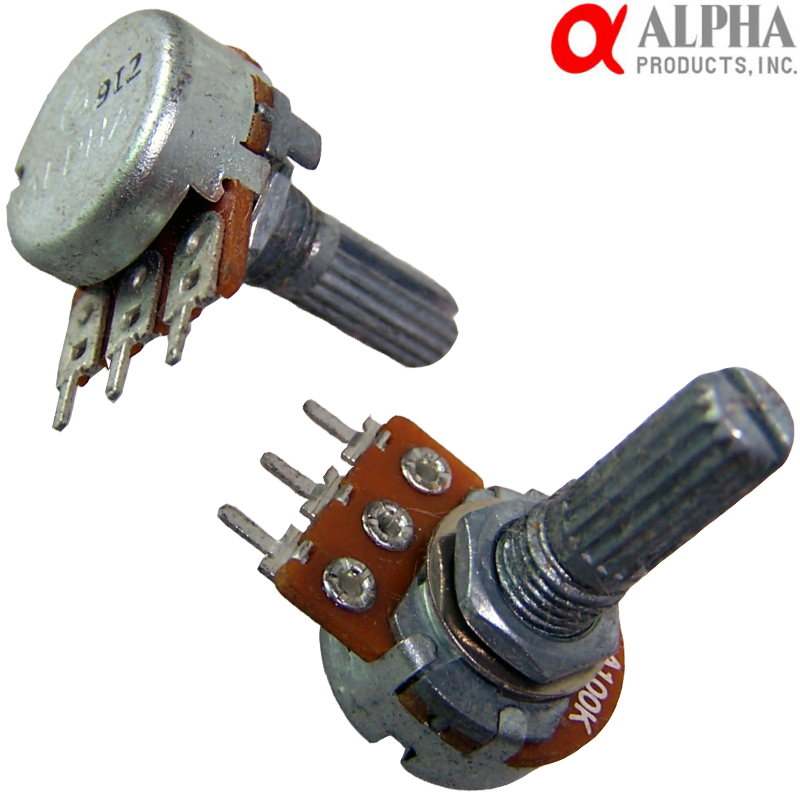 A great performing low cost miniature PCB mount potentiometer from Alpha, 6.5mm diameter fitting hole, bush and shaft measures 16mm, split shaft measure 13mm in length. body dimensions: 24mm long (with solder pins) x 16mm diameter (31mm wide including lugs) with 6mm diameter split shaft. Has location lug to prevent turning of the potentiometer once in position, but can be cut off easily if not required.